Casino games are diverse and exciting. From strategy-filled contests such as blackjack and poker to luck-based offerings like slot machines and keno, gambling aficionados have no shortage of choices. 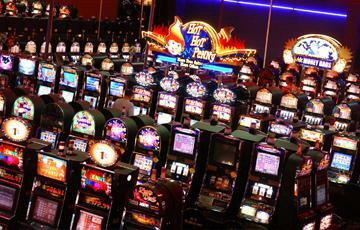 The most popular of all casino games is also one of the simplest: the slot machine. Slots offer simple play and random winnings that are attractive for players looking for a relaxing game that can be played at their own pace. However, with this simplicity of play comes odds that are far worse than those on offer at many table games. When combined with the fact that the rate of play is almost entirely in the hands of the player, there are few games that have the potential to impact your bankroll in quite the same way as the one-armed bandit. With that said, slots remain popular for a reason. Gone are the days of simple, three-reeled mechanical slots. Today’s machines feature interesting graphics, exciting features and plenty of paylines to increase your chances. With that in mind, let’s take a closer look at the odds. Blackjack offers consistent payouts with proper pay. So do roulette, craps and baccarat. Slots, on the other hand, are more difficult to predict. Modern slot machines utilize a piece of technology known as a random number generator (RNG) to randomly assign winnings on each spin. There are no hot or cold cycles, just complete and utter randomness. With that in mind, programmers do specify an average percentage of payouts to be returned over the long run, but this is yet another level of mystery for the player. By law, slot machines in Las Vegas are required to pay out at least 75 percent of the money that they take, but the actual payout in Sin City is closer to 95 percent. While this may sound intriguing, it also highlights the large margin you could encounter when choosing a slot machine. Unlike almost any other game on the casino floor, players can’t always know what the odds are on a particular slot. Trial and error is really the only way to figure out which slots offer higher payouts, and that can be a costly endeavor. A near universal rule of slot machines is that higher denomination machines offer better odds. For this reason, it’s wise to bypass the penny slots and go with the largest denomination that your bankroll will allow. One coin per line on a nickel machine will almost always pay out better than five coins per line on a penny game. Another key to improving your time at the slots is to pace yourself. The slower you play, the longer you’ll be able to stretch your bankroll, and the more time you’ll have in the casino. It’s not a race, so take your time and hope for a big win or two. Now that you know all about slot machine odds, you’re ready to put your luck to the test. If you’d prefer better odds, table games may be a good place to start, but no other game provides the opportunity for players to create their own experience quite like the slot machine.